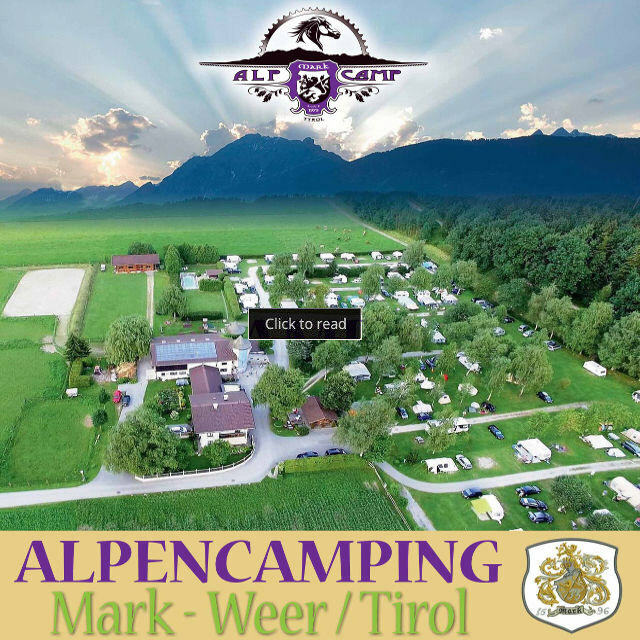 Your family campground in the heart of Tyrol - where camping is an experience! Since 1973 our family runs this campground in Weer, according to the principle "class rather than mass"! This ensures the unmistakable charm of our campground. Today our campground near Innsbruck is one of the most beautiful and popular summer places in the alps. Even if you only pass on your way South, allow yourself a stopover to relax on our fields next to a forest enjoying the impressive views of the Alps. A view guests prefer a calm holiday. Spring and late summer is best for this. During this time, camping in Tyrol shows its best side. Seniors more prefer our campsite on the early season and the off-season. With all comforts in the beautiful nature you will have an opportunity to relax and recover! The impressions will stay with you long after you left.